Christina Tift was born and raised in the Scandinavian country of Denmark where she had a love of animals,music and new adventures. After graduating from college in 2006 with a degree in international marketing, she answered passion for country western music and wanted to travel to the mountains of the United States. So, with her Viking heritage pushing her, she borrowed the money, boarded a plane and flew to Billings Montana. There she met up with her future husband Jeff who had a ranch and horse business near Sheridan Wyoming. In no time at all Christina was riding and training an average of 8 horses and mules per day. Riding so many different animals taught her timing, feel and balance. She became a student of the horse as much as the horse became a student of Christina. 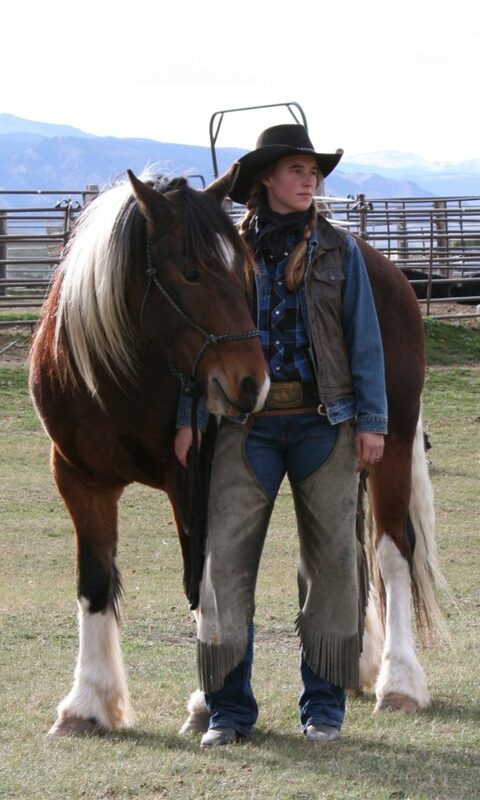 Christina has also made a living the past 12 years riding on a grazing permit during the summer months, cooking and wrangling in hunting camps in the fall, and giving riding and music lessons. She has excelled in making classy, well trained horses and mules and has been a highlight with her draft cross geldings where ever she shows up. Christina makes her living a horseback and was featured as woman of the west in the January issue of the Western Horseman Magazine.